You have a wide choice of colour options and combinations for your flooring system. 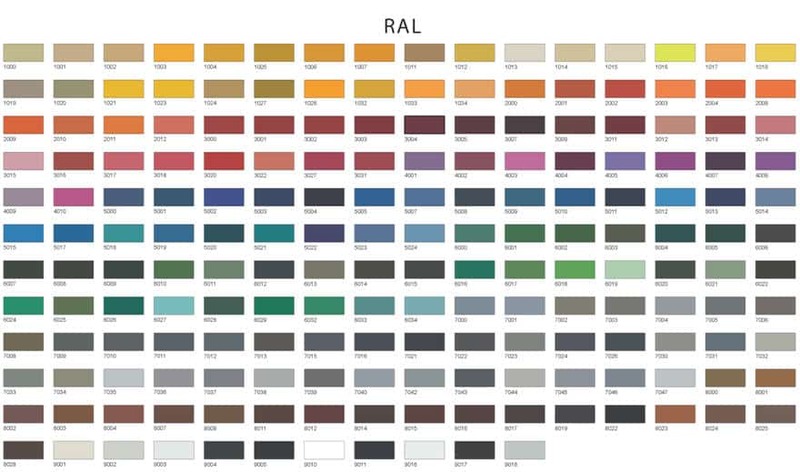 RAL is a colour matching system used in Europe. In colloquial speech RAL refers to the RAL Classic system, mainly used for varnish and powder coating but nowadays there are reference panels for plastics as well. Approved RAL products are provided with a hologram as of early 2013 to make unauthorised versions difficult to produce. Imitations may show different hue and colour when observed under various light sources.